Shabazz Muhammad is finding out what a lot of mid-level NBA veterans have found out this offseason: Not everyone is cashing in on free agency. Shabazz Muhammad is finding out what a lot of mid-level NBA veterans have found out this offseason: While there might be a lot of money to go around in the NBA, much of it is concentrated at the top. Indeed, the NBA economy kind of mirrors the U.S. economy these days with a widening income gap (relatively speaking, of course, since even those on the bottom of the NBA food chain make millions) and a shrinking middle class. Muhammad, a scoring/slashing wing for the Wolves, became an unrestricted free agent in early July after Minnesota renounced his rights. He’s played four years with the Wolves — the fourth of which was largely inconsistent and followed an offseason during which he and the organization failed to reach an agreement on a contract extension. How it worked out was this: the Wolves overhauled their roster with the Jimmy Butler trade and major signings of Jeff Teague and Taj Gibson. Other teams have made the majority of their big moves as well — and none have involved Muhammad. So now it’s mid-August and Muhammad — a 24-year-old who can score and should still be improving — remains a free agent and shows up on a lot of those “best remaining NBA free agent” lists. If he was hoping to cash in this offseason, that prospect seems far less likely by the day. Muhammad might be in a spot soon where he has to take a short-term “prove-it” deal in hopes of improving his leverage the next time he’s a free agent. That makes a tweet last night from another new Wolves signee — guard Jamal Crawford — pretty interesting. 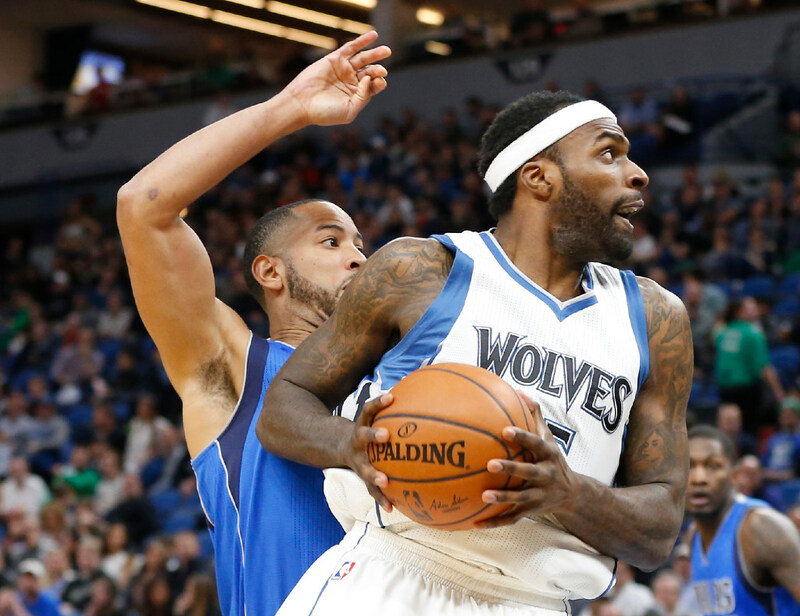 In it, he implores Muhammad to “c’mon back home,” presumably meaning back to the Timberwolves. The Wolves have roster spots and limited cash to spend. Muhammad is an imperfect and incomplete player, but he is a known commodity who can make threes and score off the bench — things the Wolves can use. What’s particularly interesting is that a return by Muhammad would probably cut into whatever playing time the 37-year-old Crawford would garner since they would both figure to get minutes off the bench as wings. Maybe that’s just a sign of what a professional Crawford is? In any event, his tweet seemed to have a purpose. Should Twins go from buyers to sellers ... and back to buyers again?